You can download Irish Women Writers and the Modern Short Story by Elke D'hoker free in pdf format. This book traces the development of the modern short story in the hands of Irish women writers from the 1890s to the present. George Egerton, Somerville and Ross, Elizabeth Bowen, Mary Lavin, Edna O’Brien, Anne Enright and Claire Keegan are only some of the many Irish women writers who have made lasting contributions to the genre of the modern short story - yet their achievements have often been marginalized in literary histories, which typically define the Irish short story in terms of its oral heritage, nationalist concerns, rural realism and outsider-hero. 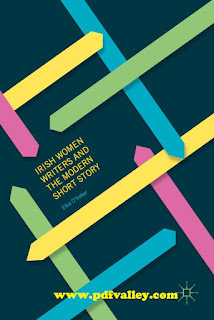 Through a detailed investigation of the short fiction of fifteen prominent writers, this study aims to open up this critical conceptualization of the Irish short story to the formal properties and thematic concerns women writers bring to the genre. What stands out in thematic terms is an abiding interest in human relations, whether of love, the family or the larger community. In formal terms, this book traces the overall development of the Irish short story, highlighting both the lines of influence that connect these writers and the specific use each individual author makes of the short story form. Elke D’hoker is Senior Lecturer in English Literature at the University of Leuven, Belgium, where she is also co-director of the Leuven Centre for Irish Studies.